Moving is a complex process that has been made easier by the introduction of certain tools. However, there are certain moving tools that might not necessarily work for you. 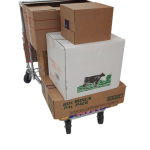 When you’re considering the best-fit moving box kits for you, it is essential that you consider what you need. Moving is of various forms (especially as people move from all manner of places to all manner of places), and this means that the fact that your best friend who moved last year made use of a specific combination of tools doesn’t necessarily mean that these are the tools that you will also need. To wit, make sure to make a list of what you will actually need and the tools that will work for your particular move. When you get those, you will be able to work around getting them one by one. It is also essential that you consider your budget. When making your list, make sure to consider how much you actually have so as not to go over your budget and end up getting what you won’t need. Also, if you are running on a tight budget, then you might want to consider getting your tools by the fact that how much important and indispensable they are. For instance, you’ll definitely need moving boxes and there really is no alternative for them to wit, these tools should ideally be on the top of your priority list. Another important thing that you need to take note of is quality. A lot of people tend to purchase moving tools that are of subpar quality just because they are cheaper. However, moving tools that are of the highest quality will be the best fit as you will be able to make use of them as much as you like and they’ll do their part to make your move as seamless and stress-free as possible. Quality costs money, and you must never compromise on this. Remember that whatever you choose should be able to help you make the entire job of moving easier. If a tool doesn’t do this, then it has no place being in your kit.